A favorite amongst artists such as Barac, Arapu and Franco Cinelli to name a few, Agustin Martin aka. Nektar Agu born in 1992 is a native of the province of Buenos Aires, Argentina. He began his career as a musician in 2008 inspired mostly by the underground scene of countries like Romania, Russia and Germany. This development led to the culmination various influences that helped shape his sound. 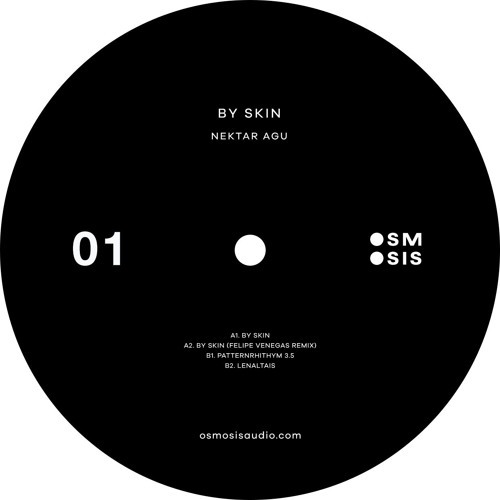 Nektar Agu’s ‘By Skin’ EP includes three new original tracks and a remix by none other than Drumma Label head, Felipe Venegas. Each track offers Nektar’s signature rhythm patterns with tasteful vocal shots and synth work that keep your head spinning and feet moving.